Mikhail Gorbachev invited 500 of the world's leading thinkers to face the most haunting challenge of all time. In this award-winning documentary, twelve visionaries chart a course through the clashing forces of consumerism, human population, and technology. This is a program that can get people talking about the state of the world and what each of us can do about it. Try watching it with family and friends, and then take some time to discuss how people can make more of a difference in shaping the future of our world. 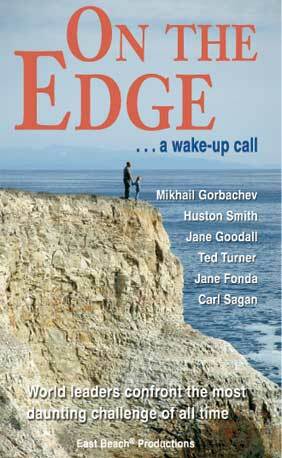 Former Soviet leader Mikhail Gorbachev is joined by Ted Turner, Jane Goodall, Huston Smith, Carl Sagan, Jane Fonda, Deepak Chopra, Robert Muller, Lester Brown, Oren Lyons, Rupert Shelldrake, and Lynne Twist. To imagine a future where the world's big problems are solved, you need to watch this video and decide to solve one of these mega problems. There's still is a fighting chance for us, and I don't think we really have any choice but to fight for our survival. This is one of the most moving programs I have ever seen. It should be shown on all of the televisions in the world.